It’s a date night! 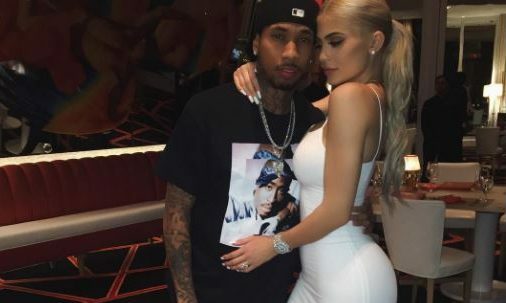 Kylie Jenner and Tyga went out for a dinner date in Malibu on Friday, November 25 after celebrating Thanksgiving with the Kardashian-Jenner family the day before. According to UsMagazine.com, the celebrity couple dressed down for the night out at Italian restaurant hot spot, Tra Di Noi. Earlier in the day, Jenner prepared a huge spread for breakfast to follow up an impressive Thanksgiving meal, which she hosted at her Calabasas, California home. This celebrity news means this duo is certainly still in love. What are some reasons to reserve quality time for your partner? 1. Keep that spark alive: Alone time together makes you two remember why you started dating in the first place. You get to revert back to when you started dating and have the memories that follow with it, making for an even more special night together. 2. Break from reality: Sometimes you want to escape the hustle and bustle of your busy lifestyles and just take a moment to relax. If you’re like Kylie and Tyga, you will have family events and celebrations where you’re always with other people. It can be needed to just take a step back and spend some quiet, alone time that you may hardly get anymore. 3. Check-in with one another: Once you do get that time alone, make sure that you and your partner are doing okay. Are they stressed? Is there something going on in their lives you need to discuss? Spending time together gives you that extra talking time that you may rarely get. Communication will help your relationship! What are reasons for reserving quality time with your partner? Comment below!